As I viewed the first frame of director Derek Cianfrance's The Place Beyond the Pines, I witnessed star Ryan Gosling fiddling about with a switchblade before leaving his dressing room. The camera then tracks him to a state fair circus area where he proceeds to do some daredevil stunt work. I'm not gonna lie. Within the first five minutes, I was pumped to see the rest of this movie. Gosling portrays motorcycle outlaw Luke Glanton and his screen presence is fiercely intimidating. Resembling a young Steve McQueen (not in looks but in stature) and having his own signature "movie walk" (it's the same in everything he's in especially Drive), he has the gift of being a great actor while relying on the most minimal amount of dialogue (I'm not sure if I'm right, but I think it's in his contract to be followed with the camera from his backside and not his front side). In "Pines," which is a long, winding film that drifts about into uncharted territory once too often, Gosling's Glanton is only featured in the first half (he inhabits about an hour of screen time). You follow his character hoping that he finds peace of mind with his life choices. Alas, when he leaves the proceedings, the director asks us, the audience, to latch onto another character and then another (each with their own hidden agendas). 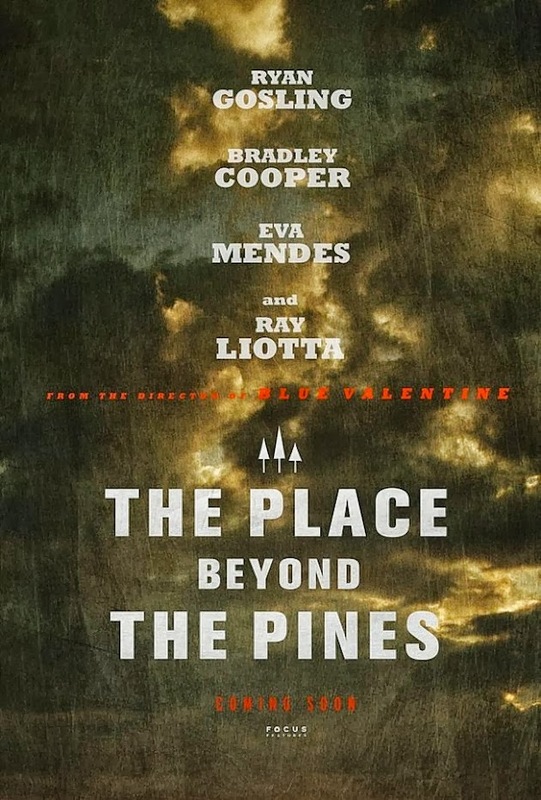 So here's the gist of it: when watching The Place Beyond the Pines, you begin to realize that this is the movie equivalent of getting in a car, driving to an unknown destination, realizing that you're thousands of miles away, and stopping in the middle of nowhere. Two hours and twenty minutes after viewing it, I figured I was on some kind of meaningless journey (to where I have no clue) instead of fully immersed in an actual, relevant cinematic experience. "Pines" doesn't make much of a point and offers no real significance when it comes to its plot descriptions. The fact that it's well directed (lots of tracking shots and some hand held camera stuff), ardently scripted, and evenly scored only frustrates me even more as to the fact that I just can't recommend it. Presenting itself as a three part character study and taking place in two fairly different time periods, "Pines" takes a gander at motorcycle stuntman turned bank robber Luke Glanton. He ditches touring around the state of New York to stay in town and befriend an old flame (he robs banks for extra money to support a one year old child he didn't even know about). Then there is police officer Avery Cross (played by Bradley Cooper) who while only a year on the job and in the line of duty, gets shot in the leg and winds up being a hero (he apprehends Glanton). Fast forward 15 year later, and we get a troubled boy (Glanton's grown up son) who searches for any information on the father he never had by resorting to a violent act of kidnapping. All of these characters have serious moral dilemmas. 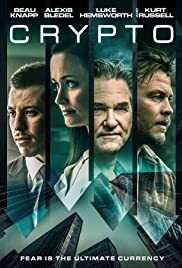 They're all connected in some way either by blood or simple coincidence, and their lives intersect for minutes at a time. This is my biggest complaint with "Pines." 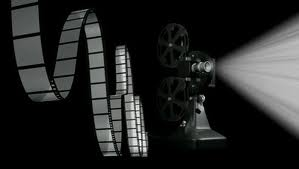 The film plays like three different stories that all have deadening, superficial loose ends. We are not given a chance to think about and decipher each character because the plot already leads us into the trials and tribulations of another. Like I said earlier, this flick is a journey that leads to nowhere. The fact that it's well done only leads to my continued frustration with it. In hindsight though, The Place Beyond the Pines is a film of utmost originality. If I'm not mistaken, it is cut completely from original cloth (its not based on a story, a book, or true events). But it was difficult for me to decide on who to root for, who to reason with, and who to feel sorry for when it came to the actions of the dissuaded players in the cast. One cast member in particular who had an interesting character motivation, was Luke's friend Robin Van Der Zee (played by Ben Mendelsohn). He persuaded Luke to do the robberies and then cut him off by eventually not helping him escape. Then when Luke's son comes knocking on the door 15 years later, Robin tells him what a great guy Luke was and what an amazing motorcycle rider he became. I don't know about you but this seems pretty hypocritical to me. Honestly, there are three questions you have to ask yourself when viewing this thing: is this film about Glanton's need to take care of his family (his young boy and his forgotten lover played by Eva Mendes) by committing multiple motorcycle robberies, is it about Cooper's character who works on a corrupt police force and wants to break free by becoming New York's youngest district attorney, or is it about Gosling's character's misguided, unloved son who resorts to stealing, kidnapping, and alleged drug dealing to get through the day? I wasn't sure and I couldn't make up my mind on who was the main focus. This is a vehicle that comes off as a set of ideas in search of a major voice. Cianfrance's earlier release, Blue Valentine at least had the audacity to keep the storytelling locked in one area and not have it break off into tangents like he does here. If you choose to see "Pines," see it for its whimsical pace (this film moves at a fast clip for having a 2 and a half hour running time), its decent performances and its raw like tone. Just know that it may leave you "beyond" cold in the end.